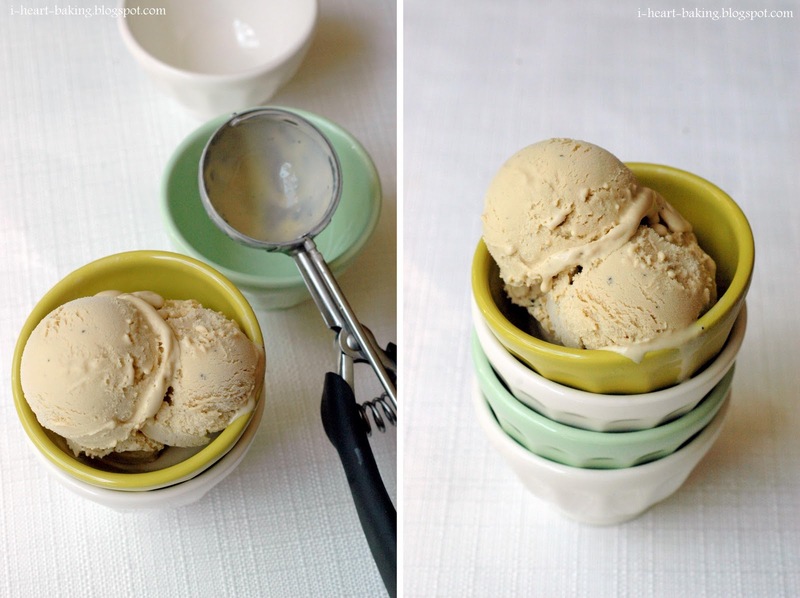 My friend Reggie's husband LOVES coffee ice cream, and since they were coming to visit I wanted to make them a batch. Normally I make my coffee oreo ice cream for them, but this time I wanted to try serving them a new coffee bean ice cream recipe that I found in my David Lebovitz ice cream book. I had made it once over the summer and I think I like it even better than the coffee oreo! This ice cream starts with infusing warm milk and heavy cream with whole coffee beans. I let mine steep for over an hour before continuing with cooking the egg yolk custard base. The final step was to add a teeny bit of finely ground espresso bean before letting that mixture sit in the fridge until cold, and finally churning it in the ice cream machine. 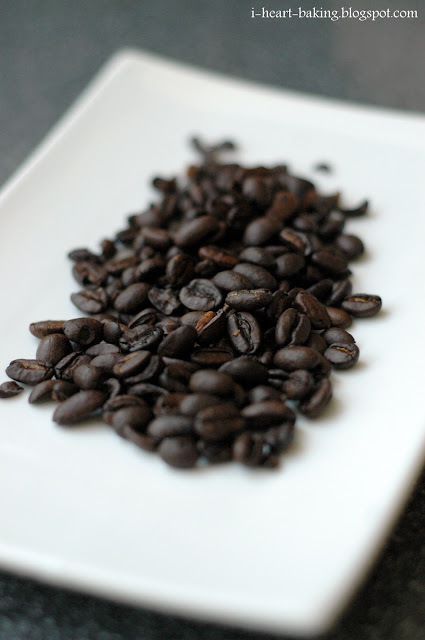 I love the look of the flecks of ground espresso bean! And the ice cream came out smooth and creamy, and rich with deep coffee flavor. I hope this becomes their new favorite coffee ice cream too! Another tasty ice cream post-coffee is a classic flavor and it does go well as a topping for many desserts. Your pictures are making me crave this-yum! I love coffee ice-cream. I don't have David Lebovitz's book, but everyone that I've read about trying ANYTHING in it has raved about the results....I guess I'm gonna have to break down and buy it!